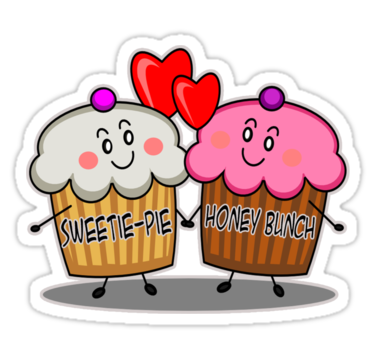 Sweetie pie, sweetheart, darling, all these lovey dovey terms are used to express your endearment towards a particular person. All these words describe one’s affection towards his or her lover. However, to be someone’s sweetie pie, you have to do a lot of things. You cannot expect to be someone’s sweetie pie just by sitting and doing nothing. You have to do certain things to show your affection and love for your partner. Show that he or she means the world to you and you will stand by your partner in sickness and in health and in good times as well as bad times. You don’t have to do something special and big for your lover to be a perfect sweetie pie. Even simple gestures like cooking a dinner or baking a cake can do the job. This doesn’t mean that doing materialistic things will earn you extra love and affection; this means that you really care about the person you are with and you want to do something special on a personal level for that person. As mentioned above, small gestures can help you a lot in this case. Buy concerts tickets of your girlfriend’s favourite band and surprise her when she gets back from work. Similarly, if you are a girl, you can iron your boyfriend’s shirt and help him out in paper work. The boyfriend on the other hand, can help his girlfriend wash dishes before going to bed. Busy schedules and routines can ruin a relationship so why not take a day off and go for an outing with your lover? No matter how much you love your lover, you got to spend some fun time together in order to keep things going in the right direction and this will also help you avoid hitting a stalemate in your relationship. Similarly, you can tell your partner to take a day off so that she can spend it with her friends. This will show that you trust her and you will earn her love and respect in return. Last but not least, you need to be more imaginative in bed. Try new things, show her that you love her and she is the only girl for you in the world. Make her feel loved and do not hesitate to show your affection. A simple kiss before and after work and before going to bed can earn you a massive amount of respect and love.